#LabourLeadership: Can Corbyn prove the bookies right? With one day to go until the Labour leadership election results are announced, RT examines the highs and lows of left-wing frontrunner Jeremy Corbyn’s campaign. The transformation of the veteran North London MP from the bookies’ 100/1 outsider to odds-on favorite has energized Labour supporters in a way no campaign has since the 1997 general election win under Tony Blair. Corbyn is widely predicted to win a landslide victory when the results are announced Saturday, despite almost every newspaper in Britain arguing against his candidacy or attempting to discredit him. RT examines the high and low points of the summer’s campaign and asks whether Corbyn really is guaranteed victory on Saturday. Former Prime Minister Tony Blair probably thought he was being helpful when he told Corbyn supporters they should get a “heart transplant” early in the campaign. But if anything, Blair’s intervention is likely to have galvanized the Labour left even more. An Opinium opinion poll of Labour voters conducted during the week of Blair’s comments suggested they had backfired on the former PM, with Corbyn’s support jumping from 37 percent to 39 percent. Labour MP John Mann accused Corbyn of failing to act on child abuse allegations in Islington in the 1980s and 1990s. In a letter, Mann said Corbyn, then as now the MP for Islington North, asked Tory MP Geoffrey Dickens to withdraw allegations of child abuse in Islington and make a public apology in 1986. He also claims that Corbyn met with a social worker in the 1990s who tried to blow the whistle on abuse, but the MP did nothing. An open letter endorsing “Corbynomics” was signed by 41 prominent economists, including a former member of the Bank of England’s monetary policy committee. The economists wrote: “The accusation is widely made that Jeremy Corbyn and his supporters have moved to the extreme left on economic policy. But this is not supported by the candidate’s statements or policies. The Jewish Chronicle published an article which suggesting Corbyn had questions to answer about alleged links to Holocaust denier Paul Eisen and cartoonist Carlos Latuff, who has been accused of anti-Semitism. Repeated accusations in the media of links to anti-Semites hung over Corbyn for the remainder of the campaign, even though Corbyn strenuously denied they had any substance. Corbyn gained backing from several of the UK’s largest trade unions during his election campaign and received the highest number of supporting nominations from Constituency Labour Parties (CLPs). Britain’s biggest union, Unite, with 1.4 million members, backed the left-winger on July 6, citing Corbyn’s anti-war and anti-austerity policies as reasons for offering their support. Unison followed suit at the end of July, signaling the support of a further 1.3 million trade union members. The backing of major unions dealt a blow to fellow leadership candidate Andy Burnham, who had hoped to court the Labour left. The mainstream media reacted with outrage, accusing the frontrunner of apparent sexism. Everyone seemed to have forgotten that a Conservative junior transport minister mooted the same idea last year, but with no ensuing media storm. The veteran left-winger told ITV News on Thursday he was “looking forward” to being Labour leader. “I am very confident that we are going to work very well together within the parliamentary party to put across a very strong opposition to what the government is doing,” Corbyn said. “I’m not worried at all – I’m looking forward to it because we have a big job to do,” he said. “A big job in exposing the government’s austerity [program] and what it is doing to the poorest and vulnerable in our society and their bill on welfare reform, their bill on trade union issues and the way in which they are actually systematically slicing up public services in Britain through massive cuts in local government grants." However, a Corbyn victory is by no means in the bag. The last poll of Labour voters took place on August 10, two days before voting in the election began. Since then, there has been an aggressive “Stop Corbyn” campaign, accusing the frontrunner of everything from anti-Semitism to neglecting his ex-wife. 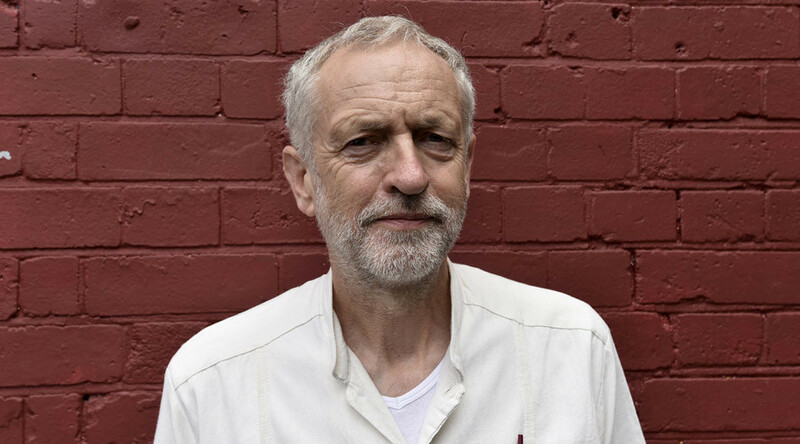 Prominent Labour MPs and former ministers have publicly warned voters against choosing Corbyn. These have included former Prime Ministers Tony Blair and Gordon Brown, former Foreign Secretary David Miliband, former Labour leader Neil Kinnock, former Deputy PM John Prescott and Jon Cruddas MP. There is also the possibility the polls could be wrong. Pollsters made a serious error earlier in the year when they predicted Labour and the Conservatives would be neck-and-neck in May’s general election. The consensus among most polling firms was the election would result in a hung parliament. As a result, few anticipated the Tories majority that followed. Finally, many would-be voters may not have cast their ballot at all. Three thousand people were barred from voting in the leadership election because Labour HQ officials considered their views to be contrary to the “aims and values” of the party. Barred from vote in #Labour leadership election! For unlawful assembly with Snow White, Sleeping Beauty & Noggin the Nog. That'll teach me? Among those “purged” were Public and Commercial Services (PCS) trade union leader Mark Serwotka, left-wing film director Ken Loach and right-wing journalist Toby Young. Hundreds more claim they never received a ballot paper. London mayor hopeful David Lammy said 20 percent of the party supporters his team spoke to didn’t receive voting papers. A perfect storm of these factors could allow one of Corbyn’s nearest rivals, Yvette Cooper or Andy Burnham, to upset expectations. The result will be formally announced at a special conference at 11:30am (1230 GMT) on Saturday.